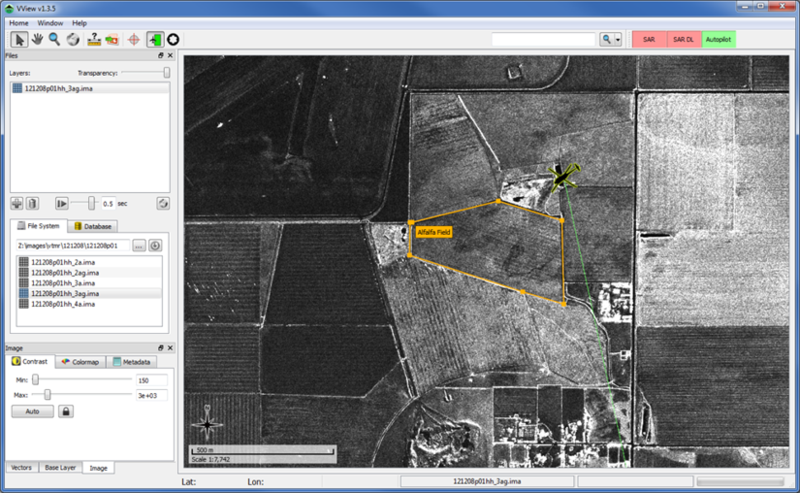 Visor's Mission Planning & Sensor Interface (MPSI) product is a full-featured software suite for mission planning, situational awareness, automatic data collection, image analysis, and target nomination. With Visor's Mission Planning & Sensor Interface, flight plans are laid out using an intuitive graphical interface. Background maps and elevation models can be loaded to assist in planning. Radar parameters such as altitude, swath width, swath length, and collection mode can be specified for each flight line. Flight plans can be saved and loaded, and they can be exported to other modules such as pilot guidance systems or autopilots. The position of the aircraft and the progress of the data collection can be monitored using the moving map display. Once the aircraft is on the desired flight line, data collection starts automatically using the radar parameters selected during mission planning. Radar data is saved to disk, downlinked, and automatically processed into images. Images are stored in a database and they are viewable as soon as they are processed. The user can search the database for similar images from previous missions and run change detection algorithms. The user can nominate and categorize objects of interest, and store them in a target database. A target report can be created, and the target coordinates can be sent to other software programs over the network. Visor's Map Server is a data manager that serves maps to multiple clients, including Visor's MPSI Ground Control Station software. Visor's Map Server can provide maps to software applications that use the Web Map Service (WMS) protocol, including Visor's MPSI software. Images served by Map Server are automatically tiled and stored in a cache, so subsequent requests for the same data are very fast -- even for large data sets. 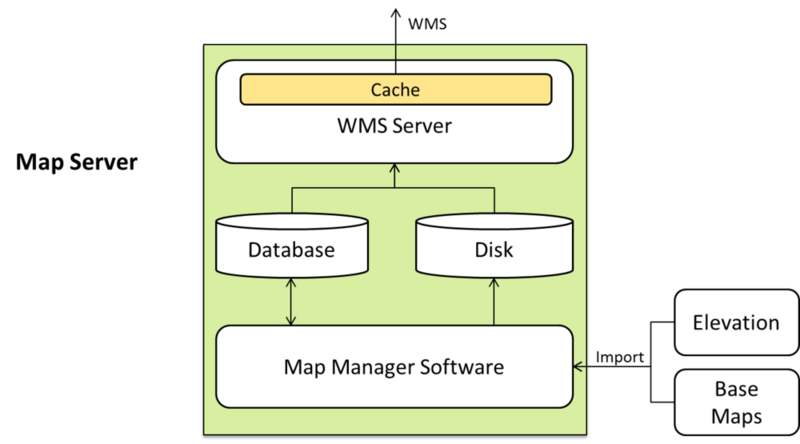 The Map Server responds to WMS requests and serves the appropriate base layer to the requesting software application in the same manner that Google serves data to its Google Earth™ and Google Maps™ applications. Because Map Server is attached to a local Gigabit network, the maps are served much faster than from web-based servers such as those used by Google Maps™.